From Truckee: Take Brockway Road to the four-way intersection with CA 267. Go straight onto Soaring Way towards the Truckee-Tahoe Airport. Turn left onto Aviation Way, and go through the red gates. Make an immediate left into the parking lot and head to the far end at the concrete barriers. We are in Warehouse #E3 in the NE corner. 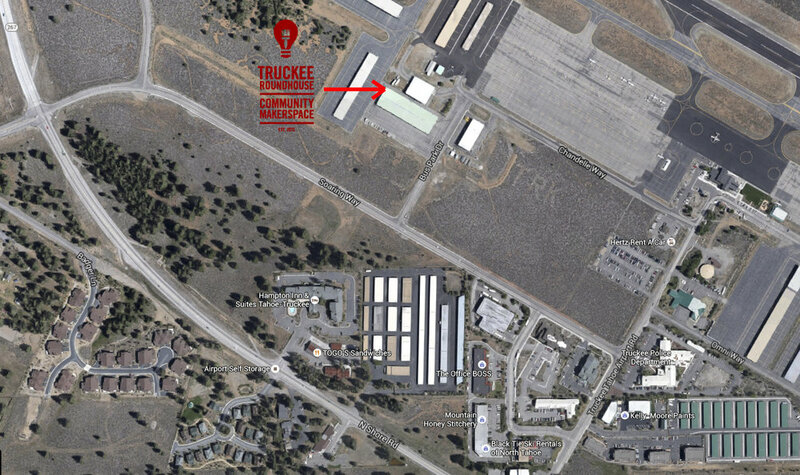 From Lake Tahoe: Take CA route 267 to Truckee Airport Road, turn right towards the Truckee-Tahoe Airport. Turn Left onto Soaring Way towards Truckee. Make a right onto Aviation Way and follow the directions above.